Home - VERIKILL PEST CONTROL INC. Welcome to VERIKILL pest control; my company may be new to you, however, VERIKILL isn’t new. We have been doing business in Bay Park, Clairemont, La Jolla, Del Mar, Rancho Santa Fe, Downtown San Diego, and North County since 2002. For expert pest control at reasonable prices please contact us at (844) TOO-KILL (844) 866-5455. 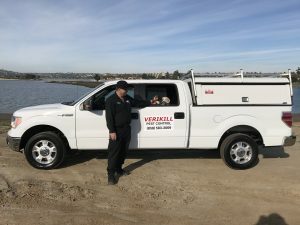 Verikill Pest Control, Inc. brings over 60 years of professional experience in both termite and general pest control to the pool of Integrated Pest Management solution, I don’t believe there is anything someone with the company has not seen at some point in their career. We will bring all of our expertise to bear on any general pest termite problem you may be experiencing. we perform both residential and commercial work specializing in the control of termites, cockroaches, ants, rats, mice, bees, silverfish, bedbugs, and other crawling insects. 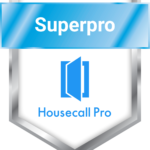 We control ants, roaches, bed bugs, rodents, bees, termites and so much more. Don’t let pests bug you, begbugs bite, or termites destroy your home, let us do the dirty work because we handle pests the old fashion way, we kill them!